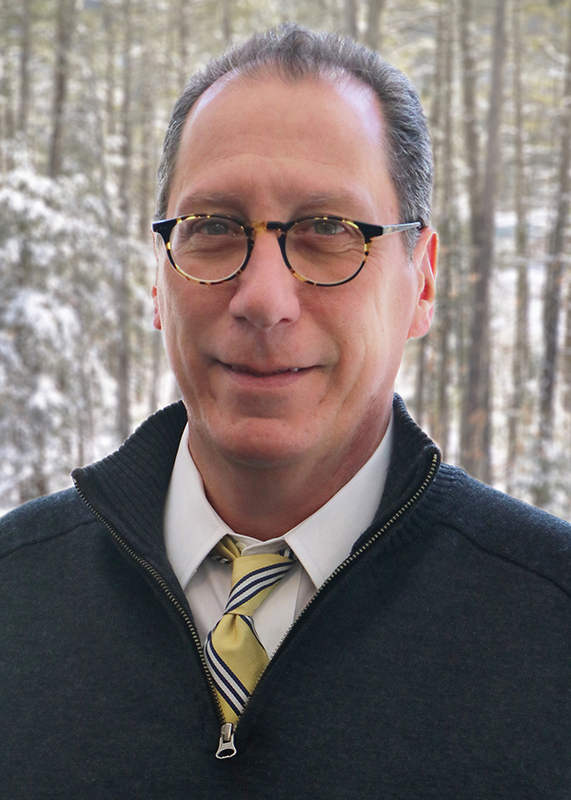 Dom Candido, Ph.D., a clinical psychologist who received his doctoral degree from Hofstra University in 1990, settled with his family in the Upper Valley in 2008. He came to the area as the Founder and Director of Hanover Psychiatry, establishing and building the practice for the Department of Psychiatry, Dartmouth Geisel School of Medicine, where he remained on faculty as an Assistant Professor of Psychiatry until February, 2016. He also founded and led the department’s Cognitive Behavioral Therapy (CBT) for PGYIII psychiatry residents program. He subsequently founded Enhance Health and now serves as its President and CEO having partnered with Cathleen Beaver, M.D. in the effort. Prior to these ventures, Dr. Candido had founded and directed the Long Island Center for Cognitive Therapy and Manhattan Cognitive. He was an administrator at Stony Brook University Hospital and later on faculty at Stony Brook University Medical School where he taught and worked in Behavioral Medicine. He is a Founding Fellow and Diplomate of the Academy of Cognitive Therapy and long time member of the Association for Behavioral and Cognitive Therapies and the American Psychological Association. Dr. Candido completed postdoctoral training in CBT at the University of Pennsylvania with Dr. Aaron Beck and in anxiety, panic and related disorders at the University at Albany with Dr. David Barlow. He also holds a Certificate in Healthcare Delivery from Harvard Business School. Cathleen Beaver, MD received her undergraduate degree from Duke University, her medical degree from the University of Kansas School of Medicine, and completed her residency in Internal Medicine at Dartmouth-Hitchcock Medical Center in 2000. After practicing as an internist at Dartmouth-Hitchcock for three years, she moved to Kansas City and continued as a primary care physician at Olathe Medical Center. In 2008, she and her family returned to the Upper Valley, and she joined the faculty at Dartmouth-Hitchcock Medical Center as a primary care provider in General Internal Medicine. In 2013 she co-founded the Dartmouth-Hitchcock Culinary Medicine Program and the Weight & Wellness Center where she served as the medical director of the adult clinic. She continues to be a Clinical Assistant Professor of Medicine at the Geisel School of Medicine at Dartmouth and is actively involved in medical education. She partnered with Dominic Candido, PhD to form Enhance Health, PLLC and serves as the Medical Director for the practice. Dr. Beaver is board certified in both Internal Medicine and Obesity Medicine. Her clinical practice encompasses all aspects of adult medicine with a focus on wellness, prevention and healthy lifestyles. Teresa Smith Candido is an Independent Clinical Social Worker. Teresa graduated from Syracuse University with her Masters of Social Work in 1979. Teresa began her career working in residential treatment with adolescents and their families. She then entered private practice at A Comprehensive Counseling Center in Rego Park, Queens. Teresa began her formal training in Cognitive Behavioral Therapy in the late 1980’s. Her first CBT supervisor was Robert Leahy, PhD who is the Director of the American Institute for Cognitive Therapy in Manhattan. Teresa then continued her training with Dr. Dominic Candido PhD. Both Dr. Leahy and Dr. Candido received their training from Aaron Beck, MD who is the founder of Cognitive Therapy. Teresa worked at The Long Island Center for Cognitive Therapy from 1991 to June of 2008. From here Teresa became employed as an Instructor of Psychiatry at the Dartmouth Geisel School of Medicine in the Department of Psychiatry providing treatment to adults and supervision to residents. Teresa has a sub-specialty in providing infertility treatment evaluations and she is a team member for DHMC’s department of Reproductive Endocrinology and Infertility. Jana Montgomery graduated from Liberty University with a Bachelor’s of Science in Nursing degree in 2003. She began working at Dartmouth-Hitchcock Medical Center upon graduation in the Surgical Step Down Unit before moving to the Intensive Care Unit for the next 12 years. Jana is an avid outdoor enthusiast spending much time biking, hiking and running. In 2016, her nursing practice evolved to align with her Health and Wellness First mindset and joined the ImagineCare team where the focus was on health and chronic disease management. Upon the closure of ImagineCare, she moved to Enhance Health to continue pursuing her passion for fostering healthy lifestyles through nutrition and activity. Jana and her family have been lifelong residents of the Upper Valley where they remain, active in their church and community. Karriebeth Davis was born and raised as a member of the Broughton family in West Lebanon NH. She graduated from Lebanon High and began her career with Dartmouth Hitchcock in Patient Financial Services. She then moved to Dartmouth Geisel School of Medicine where she continued to focus on customer service and professional support. In her last eight and a half years there, she was instrumental in the founding and growth of Hanover Psychiatry. Today, she is the Practice Administrator for Enhance Health and remains singularly focused on customer experience and support. Karriebeth continues to reside in Lebanon, now raising her own family there. The Broughton clan from whom she hails boasts a long history of service and contribution to the community. Her father Bill was a strong supporter of youth baseball and the American Legion in Lebanon and her mother was instrumental herself in the growth of Ledyard Bank. Karriebeth comes honestly by her most essential qualities: dedication, loyalty and tenacity all enacted in a context of family and community.